Jennifer took her first Zumba class in 2013 and she has never looked back. This is the perfect combination of dance and fitness. Ever since she started with Zumba, she has made significant changes to her lifestyle to stay healthy and active. Although she works full time during the day, she still loves to dance with her students. The reason she enjoys teaching is simple: she likes to inspire and motivate her students to be the best that they can while following her lead and enjoying the class without being judged. It’s a safe environment to let go and let loose. She believes everyone is able to make a positive change whether it be their lifestyle, their health, or overall building up of their confidence and she is passionate about helping others make that change. Jennifer is also very active in the community with different fundraising events for various organizations including BC Children’s Hospital, CIBC Run for the Cure, United Way, Canadian Cancer Society Workout to Conquer Cancer and the local food bank. Valerie is in her 4thyear of Kinesiology at UBC. Growing up, Valerie has always been living a very active lifestyle, transitioning from playing basketball to track and swimming. As her passion in living a healthy and active lifestyle continues to grow, she is regularly practicing bodybuilding and partaking in spin classes while using her knowledge to help improve and maintain her physical and mental health. Valerie appreciates the benefits of living a balanced quality life, as a result she will tailor a program according to your physical abilities in order for you to achieve your goals and live a healthy and active lifestyle as well. Sophie has recently returned to Canada after dancing professionally in Germany for six years. There she was part of a 60-dancer company, Friedrichstadt-Palast Berlin. After three years, she then freelanced, inspired by many different projects. Her credits include the Netflix series “Babylon Berlin.” Sophie trained in New York, Los Angeles and London throughout her time in Berlin. Prior to moving to Europe, Sophie danced with Citie Ballet in Edmonton while attending the University of Alberta. She received her professional training at the Royal Winnipeg Ballet School and at studios in Edmonton. Her styles include jazz, ballet, heels, tap, barre fitness, lyrical, contemporary and character work. Sophie is a versatile and musical dancer. Her classes are sweaty, fun and challenging. Sophie loves sharing her passion for music and dance. Julie is a third-year Kinesiology student who is passionate about health, fitness, and nutrition. She has always led an active lifestyle through playing competitive soccer, running, hiking, and lifting weights. 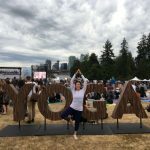 Throughout her studies in Kinesiology at UBC, she has learned the fundamentals of anatomy and fitness, as well as the many benefits of exercise. Julie believes exercise to be part of a healthy lifestyle that contributes to improving your physical and mental well-being. She is eager to share her passion and knowledge of fitness with others and is determined to help you reach your goals. Julie will guide you through a fun, personalized program that pushes you out of your comfort zone in order to see and feel results, motivating you along the way. 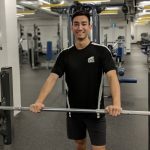 Kieran is a personal trainer, group fitness instructor, and kickboxing instructor coming into his final year in faculty of Kinesiology at UBC. He believes fitness and exercise are great tools to improve your well-being and wants to share his knowledge and experience to guide you to healthier lifestyle. 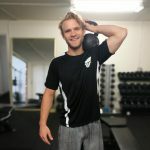 He has learned and practiced various forms of fitness throughout his kinesiology degree, and through training alongside martial arts instructors and fitness coaches. He believes fitness is very adaptable and has experience in coaching both beginner and advanced athletes. Through his 17 years of martial arts training he has found functional training a large part of his own life, and so he tries to tailor his workouts to be more beneficial for every day life. Kieran will always aim to help you reach your fitness goals in an exciting and fun way, while providing you with an educational foundation to fitness. Noah is a high-energy individual with a primary focus on functional and athletic strength. Growing up, he captained his high school soccer, volleyball, and rugby teams; leading them all through regional Southern-African tournaments, and was awarded the Regional MVP in volleyball and soccer two years in a row. Upon graduating, the Athlete of the Century award was created for his many sports contributions to the institution. Noah began boxing and bodybuilding at the age of 16. 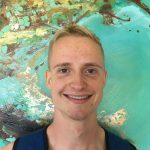 In 2014, he took a gap year from UBC to train with a local circus, deepening his understanding of flexibility, isometric endurance, and performance. Since then, he’s ambitiously developed his strength, power, and cardio inside and outside of the gym. Equally determined to help beginners and veterans, Noah considers exercise life’s best form of stress relief, and an active relationship with our bodies a crucial step toward positive mental health. If you see him in the gym feel free to ask him anything; he’s eager to help! 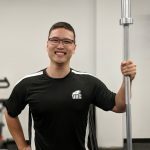 Ryan has a Bachelor of Kinesiology degree from the University of British Columbia, is a NSCA Certified Strength and Conditioning Specialist and has completed level 1 in Ma Strength Weightlifting Technique. 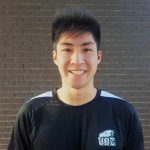 Before becoming a personal trainer, Ryan worked with teams, spending three years coaching the UBC dragon boat team in strength and conditioning. Ryan has worked primarily with athletes, working towards athletic development; however, he enjoys providing the knowledge and proper information his clients’ needs – no matter what their level of fitness – to reach their potential and achieve their health and fitness goals. Ryan specializes in barbell movements and phasic training, designing periodized workout programs that span months in order to guarantee that the client’s goals are achieved, but that those achievements remain permanent. Joanne migrated from the corporate world to the fitness arena to pursue her passion for equipping individuals with the skills of strength, mobility, flexibility, resilience, power. As a coach/trainer, she works with a wide range of clients, customizing sustainable programs from time-tested modalities, and with personal trainers in power lifting and kettlebell skills. 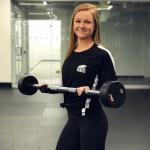 As a group fitness instructor, she teaches some 20 classes per week with formats incorporating dumb bells, kettle bells, barbells, sandbells, TRX, etc along with indoor cycling and aquatics based workouts. Joanne continues to grow her craft by attending seminars, workshops and acquiring knowledge from such experts as Dr Stuart McGill and Pavel Tsatsouline. With 7 years of experience, she has received awards for excellence as a personal trainer, and among her notable credentials, she is the StrongFirst certified kettlebell instructor — one of only 6 in BC with SFG Level II. Saloome has been a Zumba instructor since 2012 with a B1 and Zumba Sentao certificate. 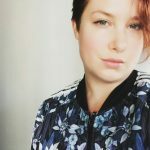 She has always been passionate about merging dance and fitness, and creating an inclusive environment that is effective and enjoyable for all, regardless of their dance/fitness level. Saloome’s fitness background is in gymnastics and martial arts. She has a gymnastics coaching certificate and has won several medals in national inter-university gymnastics competitions. She is also a brown belt in Kanzen Ryu karate. Saloome has practiced a variety of dance styles, such as Salsa and other forms of latin dance. 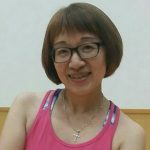 She continues training and educating herself in different dance genres to add variety and style to her Zumba routines. Kirby Rae Snell’s dance (dance-fitness) programs are a fun hybrid of sultry and sweaty. Kirby is an international choreographer, dance-fitness presenter and performer. Her professional career has taken her throughout Europe, the West-Indies, Central and North America. She has choreographed for artistic dance films including ‘Evanescent’ and ‘Zyra,’ is a sought after dance-fitness presenter performing regularly in large scale events such as for the Canadian Cancer Society and is an advocate to implement more dance programming into elementary and secondary school systems. She is the founder of Endorphin Rush Dance and Fitness and believes in the power of the endorphin high produced through dance-fitness. 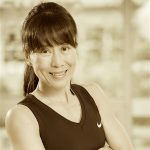 She creates innovative dance and dance-fitness programs which are taught in welcoming environments where participants can let loose while dripping with sweat and expressing themselves. Cora began her dance training at the Coast Academy of Dance at the age of three. She has trained extensively in ballet, tap, modern, jazz, contemporary, and hip-hop. She has completed numerous examinations in the Imperial Society of Teacher’s of Dance (ISTD) syllabi in Tap and Ballet. Cora has also completed all the ISTD Modern Theatre exams from Grade 1 to Advanced 2, receiving a mark of distinction at each level. Not only have Cora’s performance qualities and technical skills been recognized in numerous awards, but also her kindness and generosity of character. She has been the recipient of multiple dance awards and scholarships including the Sunshine Coast Dance Society’s Lois Smith Ballet Award, the Baris Foundation’s Award for Modern Dance, and the Baris Foundation’s Dance Discipline Scholarship. At 17, Cora graduated from the Coast Academy of Dance’s three-year Pre-Professional Program, culminating in the receival of her ISTD Associate in Modern Theatre. 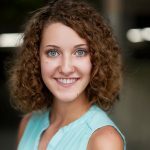 She was hired for the 2017/2018 season as the studio’s youngest instructor, enabling her to share her love for dance with preschoolers, teens, and adults. Cora’s foundational ballet technique quickly led her to fall in love with barre fitness. Only a year after trying her first class, Cora received the International Ballet Barre Fitness Association’s (IBBFA) Barre Certification – Fundamentals of Barre Technique and is now a qualified instructor. Cora’s classes are energetic and light-hearted, with a focus on performance, encouraging her students to develop their individual style in an inclusive, supportive, and fun-loving environment. Tony is a certified personal trainer and group fitness instructor and a fitness competitor. Has been in the fitness industry for over 6 years. He has always lead an active, healthy lifestyle and is passionate about helping others achieve peak performance. 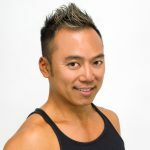 He is most passionate about dance as it relates to fitness. Dancing is a way of being free, bringing out the rockstar within, and a fun way of getting in peak physical condition. Tony has taken courses in hip hop and break dancing and studied partner salsa dancing for over 4 years. When he was introduced to Zumba he fell in love with it because it combined his love of fitness and dance. He’s got great moves and great energy to inspire you to dance your way to great fitness level – and you are guaranteed to have fun. He is a licensed Zumba instructor, teaches different formats such Strong by Zumba, Zumba step, Zumba Toning, Zumba Kids and Aqua Zumba. Emily is a canfit pro and BCRPA certified group fitness instructor and has completed her Stott and Pilates Method Alliance mat and Total Barre certifications, and 200 hr international yoga alliance certification through Yogafit. Emily enjoys teaching barre, pilates, yoga and different types of group fitness classes and enjoys various sports and activities including running, tennis, volleyball and dancing. As a healthcare professional she sees the benefit of pilates, barre, yoga and exercise incorporated into her participant’s and patient’s health regime to stay healthy and happy in mind, body and spirit! Gosha has been training Muay Thai since 2009 and has invested his time in several professional gyms, including ones overseas. He was taught the fundamentals of the sport by Chase Ingalls, a 4-time Muay Thai world champion. Presently, he is attending the Engineering Physics program at UBC, and primarily training in Sanshou with the UBC Kung Fu club. Gosha strongly believes in both the physical and mental benefits of martial arts. He strives to make a friendly and easy-going environment where everyone has an opportunity to achieve their goals. Outside the gym, Gosha enjoys road cycling, kayaking, and taking time away from the desk for some calisthenics. James is a firm believer in a holistic approach to training – the mind and body are connected! Positive improvements in physical health benefit mental wellness. During his time studying at UBC, James was mentored by a board member of the British Columbia Association of Kinesiologists (BCAK). He has worked with a variety of individuals, such as rehabilitation, car accident, and older aged individuals. James always makes it a priority for his clients to develop an understanding of the movements they are doing. During his free time, James trains in Muay Thai and enjoys playing the piano.